As the story goes Sergeant Brennan was keen on one of the Hawkes girls but her family did not approve of the relationship. Unlike other graves in this graveyard, most of which face East, Sgt. 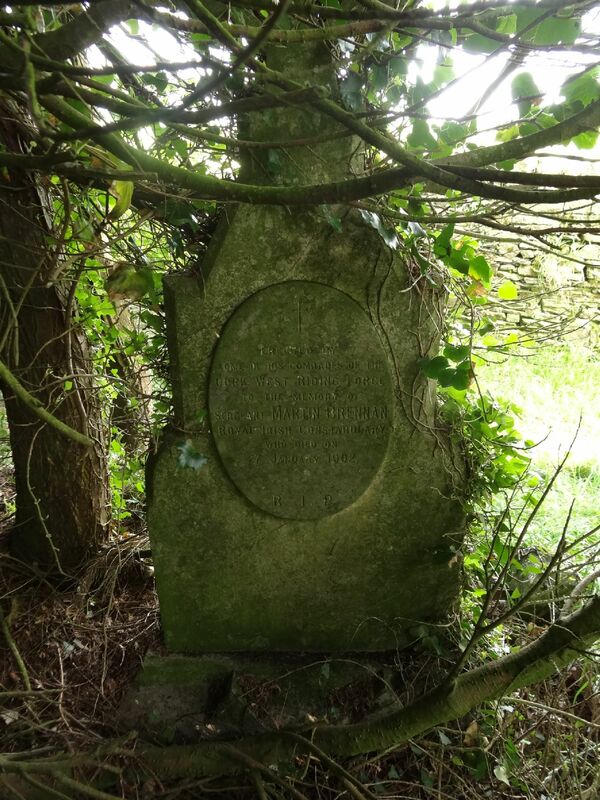 Brennan's headstone faces South East towards the Hawkes house, East of the nearby road.. Probably the only member of the R. I. C. buried in this Graveyard.